The Republic of Ghana and Burkina-Faso have agreed to seek technical and Financial Partners for the construction and operation of a railway system between the two countries. 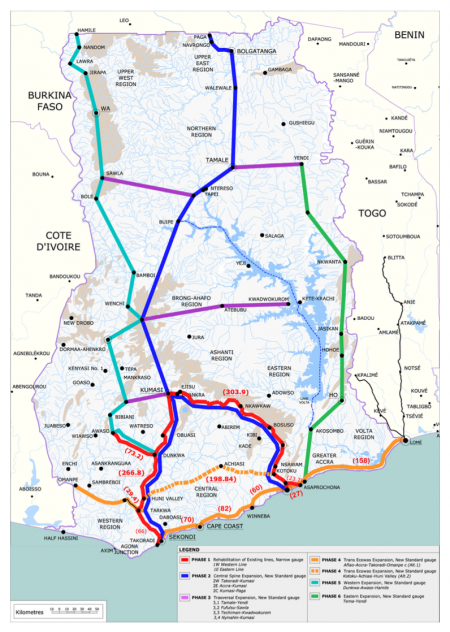 The route as agreed on by both Countries, is the Eastern Extension line which starts from the Tema Port, through Akosombo, Ho, Hohoe, Yendi, Tamale and Paga. 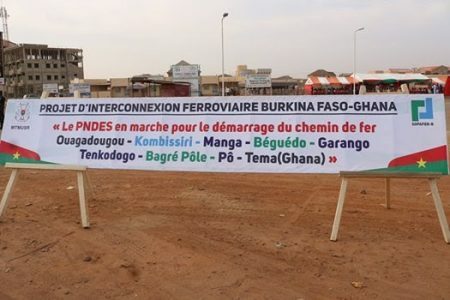 On the Burkina side, the line continues from Dakola through Po along the national highway number 5, integrating the growth of Bagre and ends at Ouagadougou. The project is to be fully funded through a Public-Private Partnership (PPP) on Build Operate and Transfer (BOT) basis. Both countries are hopeful that the Ghana-Burkina Railway Interconnectivity project when completed in 2020, will improve the transport and logistics chain on the rail corridor to accelerate economic growth and development of both countries.